I've been having lots of fun using my new 70-300mm lens. 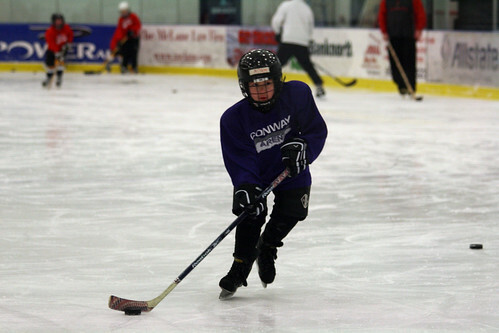 Here's Adam during hockey practice in his beautiful purple jersey (Go Kings!). 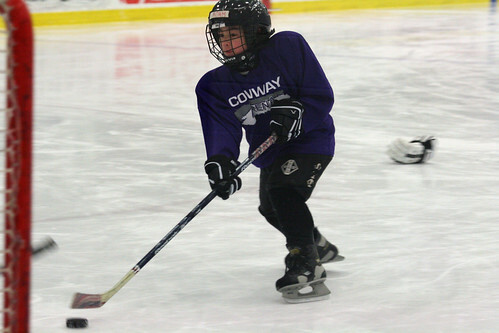 There's nothing like watching kids playing ice hockey. They show such poise and grace. I love that picture! So full of action! I think that Wordless Wednesday may become my post for Thursdays! (Since I already do the Hump Day Hmmm on Wednesday.) I have a wonderful relationship with my camera. Go you! Awesome picture! He looks like he is having a blast!